The most detailed list of sand sculpting events on the internet. You can search by map/location or by month. Traditionally one of the first Master level events of the year. The Texas Sand Fest is one of our favorite events, hosting Master/Professional and amateur levels.Want a nice place to spend a weekend, its really worth a visit. April 21 to 23.....CHECK IT OUT!!! Amateur and professional sand sculptors from all over the world descend on South Padre Island every year to create beautiful works of art using natural elements of the beach. This event will celebrate its 29th year this year. American Championsips. Fort Myers Beach, FL. This year in November, the American Championships celebrates its 31st YEAR. 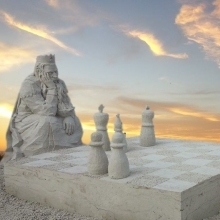 One of the longest running sand sculpting competitions in the world, also one of the largest. The event features over 50 sculptures in Master, Advanced Amateur and Amateur levels. They harvest over 2000 tons of sand from the beach. In an effort to make the website more user friendly and available on many different devices we have revamped our entire site. 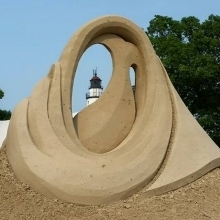 The Sand Lovers - "Professional Sand Sculptors"
Utilicart - "The ULTIMATE BEACH CART!" 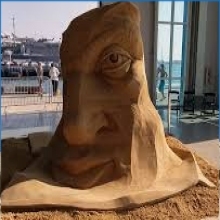 Sand Sculpting Events.com reaches thousands (over 5k) of people each month....Our goal has been to promote Sand Sculpting by providing a website where everyone can easily find information on Sand Sculpting Events, Competitions and Festivals. So, thank you for visiting!! Want your logo listed? Simply email it to us.....we try our best not to use any images without permission.